The Museum holds a display of modern uniform and equipment from the Iraq campaign used by Corporal Craig Smith, now a resident of the district. Craig enlisted in 1985 and served in East Timor, Cambodia, and twice in Iraq before being discharged in 2009. 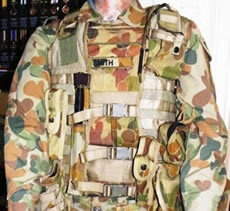 Fighting kit of the modern soldier as used in Iraq and Afghanistan, featuring the Disruptive Pattern Combat uniform. 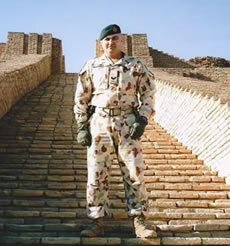 Corporal Craig Smith pictured in Southern Iraq at the birthplace of Mohammed. 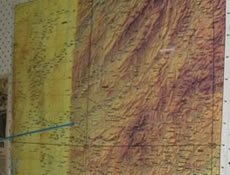 The Disruptive Pattern Desert uniform he is wearing is on display at the Museum. 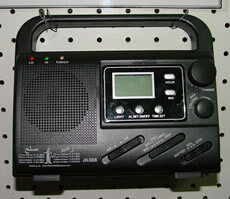 Peace Radio America purchased 4,500 radios to donate to villagers in Afghanistan. The Taliban (enemy) took advantage of the radios. Out of each radio, they could manufacture triggering devices to explode 5 different bombs! The map, Taliban posters, money and radio were donated by a member of the SAS returning from duty.